What's the Difference between Line, Instrument and Microphone Levels? Tags: Analog recording technology, Recording newbie guide. 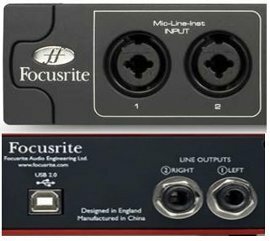 In the first image, you see 2 inputs with label “Mic-Line-Inst”; this implies that it can accept microphone, line and instrument level inputs. Then in the second image, you see a label called “Line outputs”, this means that the output is at line level and should be connected to equipment requiring line level signals. So what are Line, Instrument and Microphone levels? Beginners in home recording often ignore the importance in knowing the difference between line, instrument and microphone signals. But these things play a BIG role in achieving quality recording in your studio. 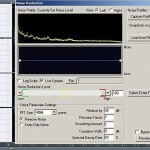 Things associated with poor recording such as noise, hiss, weak signals, unintended distortion or clipping and tonal shifts are caused by the lack of understanding between line, instrument and microphone levels. The first difference between line, microphone and instrument are the voltage levels. In a microphone levels; the output voltage is not the same as the line level voltage or instrument level voltages. In a microphone, there is a transducer that converts sound vibrations into electrical energy. The result is an induced voltage which is VERY low (within ~2millivolts). This low and very weak voltage cannot be used by other recording equipment or components in the signal chain. If you attempt to plug a microphone to an input requiring line level signals, then the resulting signal will be noisy or containing hiss. It is because the input assumes it is already pre-amplified which in this case it’s NOT since the output is still in microphone level voltages. To make the microphone level usable by other components in the recording signal chain with reduced noise/hiss, it should be pre-amplified. 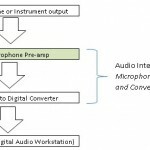 This is where you should be using a “microphone pre-amplifier”. A microphone pre-amplifier applies a very high gain to amplify the very weak microphone signals (~2 millivolts) into a line level signal. Once amplified, this signal can now safely be plugged into any inputs requiring line level signals. On the opposite if you attempt to plug a line level signal into an input requiring ONLY microphone levels, then you will get distortion. It is because the input signal is already highly amplified and plugging this input level again into a microphone input (which has a pre-amplifier on it) will further drive the signal level into intense levels causing distortion. On the other hand, instrument level voltages (those that are coming out of the guitar pickups) have higher voltages compared to microphone levels but still less than line level voltages. It still needs to be pre-amplified.